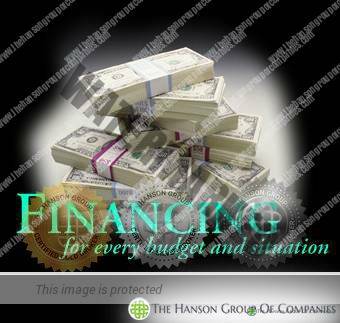 “The Hanson Group of Companies” can help to obtain financing, activate credit line, provide loans against financial instruments, and monetize financial instruments. Our company is capable to offer the most competitive terms when rendering assistance in obtaining financing for both commercial transactions and various business projects. Every project that requires financing will be discussed on an individual basis. Our loans have an interest rate of 2% per annum with up to 4 years of grace and can span up to ten years in length. This type of financing imposes less rigid requirements to the current financial status of client and quality of financial project than traditional project financing. 10M to 500M Bank Guarantee (BG) – 65% Recourse Loan with a Non-Rated Bank instrument or 80% Recourse Loan with a Rated Bank instrument – This loan has an interest rate of 2% per annum with up to 4 years of grace and can span up to ten years in length. In case of client do not have a bank instrument to place as collateral for the project, Hanson Group can offer to lease the bank instrument to the client and at the same time offers the monetization. Hanson Group can monetize a bank instrument via our attorney’s trustees in the USA with a minimum face value of 10M and for up to 500M maximum per tranche. If the client is leasing the bank instrument from Hanson Group, the client only has to pay for the initial deposit fees and the attorney’s trustees will pay the lease instrument cost. Loan 1st Disbursement: €13,200,000.00 20% of the loan in 21 days after received and authentication of the MT760. Loan 2nd Disbursement: €13,200,000.00 20% of the loan 30 days after the 1st disbursement. Loan 3rd Disbursement: €3,960,000.00 30 days after the 2nd disbursement. Loan 4th Disbursement: €3,960,000.00 30 days after the 3rd disbursement. Loan 5th Disbursement: €3,960,000.00 30 days after the 4th disbursement. Loan 6th Disbursement: €3,960,000.00 30 days after the 5th disbursement. Loan 7th Disbursement: €3,960,000.00 30 days after the 6th disbursement. Loan 8th Disbursement: €3,960,000.00 30 days after the 7th disbursement. Loan 9th Disbursement: €3,960,000.00 30 days after the 8th disbursement. Loan 10th Disbursement: €3,960,000.00 30 days after the 9th disbursement. Loan 11th Disbursement: €3,960,000.00 30 days after the 10th disbursement. Loan 12th Disbursement: €3,960,000.00 30 days after the 11th disbursement. Loan 1st Disbursement: €10,350,000.00 20% of the loan in 21 days after received and authentication of the MT760. Loan 2nd Disbursement: €10,350,000.00 20% of the loan 30 days after the 1st disbursement. Loan 3rd Disbursement: €3,105,000.00 30 days after the 2nd disbursement. Loan 4th Disbursement: €3,105,000.00 30 days after the 3rd disbursement. Loan 5th Disbursement: €3,105,000.00 30 days after the 4th disbursement. Loan 6th Disbursement: €3,105,000.00 30 days after the 5th disbursement. Loan 7th Disbursement: €3,105,000.00 30 days after the 6th disbursement. Loan 8th Disbursement: €3,105,000.00 30 days after the 7th disbursement. Loan 9th Disbursement: €3,105,000.00 30 days after the 8th disbursement. Loan 10th Disbursement: €3,105,000.00 30 days after the 9th disbursement. Loan 11th Disbursement: €3,105,000.00 30 days after the 10th disbursement. Loan 12th Disbursement: €3,105,000.00 30 days after the 11th disbursement.